The Chinese government’s grip on religious institutions means that, in order for the Catholic Church to appoint bishops in China in the future, it must receive the Chinese Communist Party’s blessing. Toward that end, the Vatican is currently engaged in negotiations with the Chinese government to expand its influence over the Catholic Church there. In most other countries, the pope exercises sole authority to appoint bishops. Yet in China, bishops are appointed by the Communist Party. If a new deal is reached, the Vatican would have the authority to veto candidates proposed by the Communist Party. But Rome should be wary of the consequences of a deal with Beijing. A deal would grant an unmerited air of legitimacy to the Chinese government’s treatment of religious minorities at a time when persecution is worsening. China has long persecuted Catholics, Protestants, Uighur Muslims, Tibetan Buddhists, and various other religious minorities. Persecution is so severe that China has been designated a country of particular concern in the Department of State’s International Religious Freedom report since it was first issued in 1999. Such persecution has only intensified since Xi Jinping came to power in 2013. 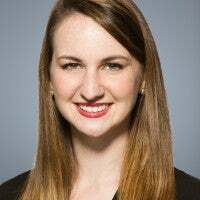 A report from Freedom House, a nongovernmental organization that tracks human rights concerns abroad, suggested that persecution against Christians and Uighurs, in particular, has risen substantially over the last five years. At the start of 2018, China instituted regulations against religious groups and recently announced that it will place the State Administration for Religious Affairs—China’s agency for regulating religious groups—under the authority of the United Front Work Department, an arm of the Chinese Communist Party. This will give the Chinese Communist Party more direct control over the activities of religious groups. It aligns with China’s stated policy of “sinicization” of religious groups in China—effectively secularizing and subjugating religious thought and practice to the control of the party. [The deal with the Vatican], on paper, would appear to effectively give the Holy See veto power, but any bishop that is put forward by Beijing will almost certainly be thoroughly vetted to ensure that no matter who is selected their allegiance will be first and foremost to the [Chinese Communist Party]. Chinese subjugation of people of faith is forceful, sometimes even lethal. One of the latest high-profile cases included the sudden and suspicious death of a Chinese human rights lawyer and defender of Christians, Li Baiguang. China has continued to prohibit people under the age of 18 from participating in religious education or ceremonies. There are frequent reports of crosses being torn down and churches being shuttered. If there was ever a moment the Vatican should avoid making a deal with China, this would be it. In addition to serious religious freedom concerns, a deal between the Vatican and Beijing would present a host of other challenges. One point of contention relates to seven bishops who currently operate China’s state-run Catholic churches. These seven bishops are not formally under the pope, but instead operate under the authority of the state-controlled Catholic Patriotic Association. 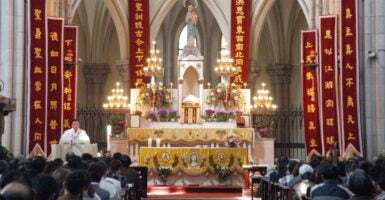 China’s 10 to 12 million Catholics remain split between underground churches, which are predominantly aligned with Rome, and official state-recognized churches, which are not. Because the seven bishops operate outside Rome’s authority, they may not be able to remain bishops under a new deal between the Vatican and China. The pope would either have to pardon them, or otherwise remove and replace them with bishops appointed by both the Vatican and Chinese authorities. A deal would also put Taiwanese Catholics at risk. China, as per standard practice, does not permit any country with which it has formal diplomatic relations to recognize Taiwan. The appointment of bishops has long been the obstacle to formal China-Vatican relations. If the Vatican suddenly strikes a deal with Beijing and recognizes China diplomatically, it will have to break relations with Taiwan. There are absolutely no exceptions to this rule. If and when it happens, it will be a major blow to Taiwan’s 300,000 Catholics, and it will be a future blow to Taiwan’s international standing. Taiwan recently lost its relationships with both Panama and the Dominican Republic, reducing the number of countries in the world that recognize it to 19. If it loses the Vatican, other Catholic countries in Latin America will not be far behind. As the Vatican mulls further engagement with China, it should first and foremost prioritize religious freedom in China and also keep in mind the faithful Catholics in Taiwan. The Vatican should consider seriously whether it can promote religious liberty in China and whether it wants to cede substantial legitimacy—even control—to a Chinese Communist Party that seeks to secularize and subjugate people of faith, not advance the cause of religious freedom.